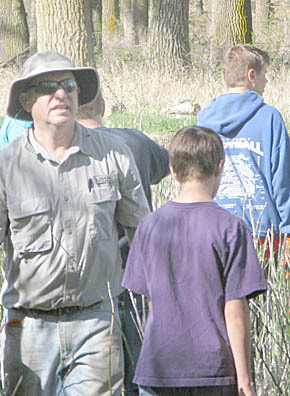 A variety of improvements were made at Olson Nature Preserve in Boone County during a work day last Saturday, March 31. New trails were developed on the east side of Beaver Creek by Boy Scouts. Prairie Plains Resource Institute staff and volunteers removed fallen timber and generally cleaned up the preserve. Details in the April 4 Albion News and Petersburg Press Print & Electronic Editions.